Kelley Construction Contractors, Inc. is your trusted restoration and renovation contractor in the Springfield, IL area. We provide residential and commercial construction services for projects large and small throughout Springfield and surrounding areas. We are passionate about keeping the communities of Central Illinois safe, which is why our team travels to the Springfield area. When disaster strikes, you want a restoration contractor you can trust. Contact us today and experience the Kelley Difference for yourself. From soot removal to rebuilding walls, our fire damage repairs will restore your property back to a livable condition. When hailstones damage your property’s roof or siding, we are the ones to call. We will repair any dents to breaks so you won’t even be able to tell a storm came through. Storm damage can occur in just about any season since the Midwest experiences such harsh winters and severe summer storms, as well. We have crews standing by in case of an emergency. When waters rise, you may feel completely helpless. No matter what the damage, though, we can provide comprehensive flood damage repairs to restore your property. Whether just a small ceiling leak or a full-blown exploded pipe, we can take care of you. Call Kelley Construction Contractors, Inc. for your water damage restoration services. Don’t take a risk on even a small amount of mold or mildew. It can cause serious adverse effects to your family’s health. Our mold remediation services will ensure you stay safe. One feature we also offer is our emergency restoration. We have on-call crews standing by at all times in case you are in an unsafe situation. Don’t hesitate to use this service. Contact us today to learn more about our restoration services available in Springfield or for a free estimate. 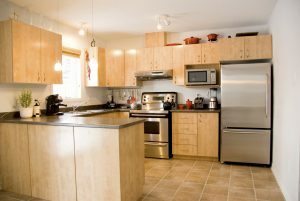 We provide custom kitchen remodeling services that tailor to your style or budget. Call us to get no-obligation pricing. Create the bathroom of your dreams with all of the latest trends and materials. Whatever you come up with, we can make happen. 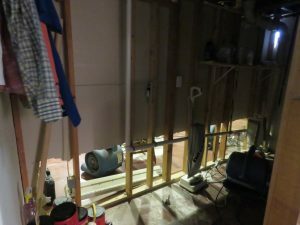 Do you have an unfinished basement and don’t know where to start? Or just want to update your finished basement? We can help transform whatever type of basement you currently have into somewhere you actually enjoy going. Enjoy the outdoors without actually having to be outdoors. How? A custom sunroom addition from Kelley Construction Contractors, Inc. Whether you are still in the imagining phase or ready to start construction today, contact Kelley Construction Contractors, Inc. for your renovation and remodeling needs.